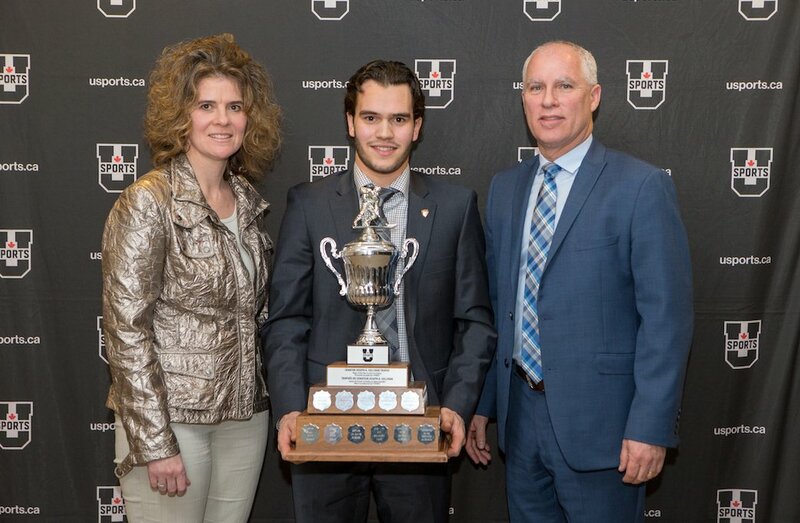 Concordia forward Anthony Beauregard accepts the Senator Joseph A. Sullivan Trophy from Lisette Johnson-Stapley, Chief Sport Officer of U SPORTS, and Wayne McDonald , Senior Vice President, Corporate Relations, JD Irving Ltd. and Cavendish Farms. Concordia forward Anthony Beauregard was honoured with the Senator Joseph A. Sullivan Trophy as U SPORTS men’s hockey Player of the Year Wednesday night, as the national award winners were celebrated at the annual All-Canadian gala. UNB forward Kris Bennett captured the Clare Drake Award as Rookie of the Year, while Varsity Reds teammate Randy Gazzola was named the winner of the R.W. Pugh Fair Play Award as most sportsmanlike player. 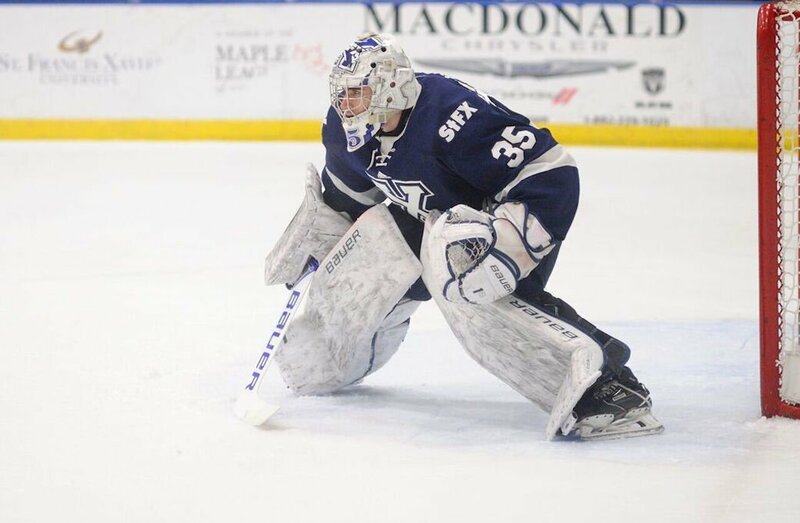 In addition, Alberta blueliner Jason Fram and StFX netminder Chase Marchand took home Defenceman of the Year and Goaltender of the Year respectively, while Saskatchewan forward Kendall McFaull earned the Dr. Randy Gregg Award for Student-Athlete Community Service. 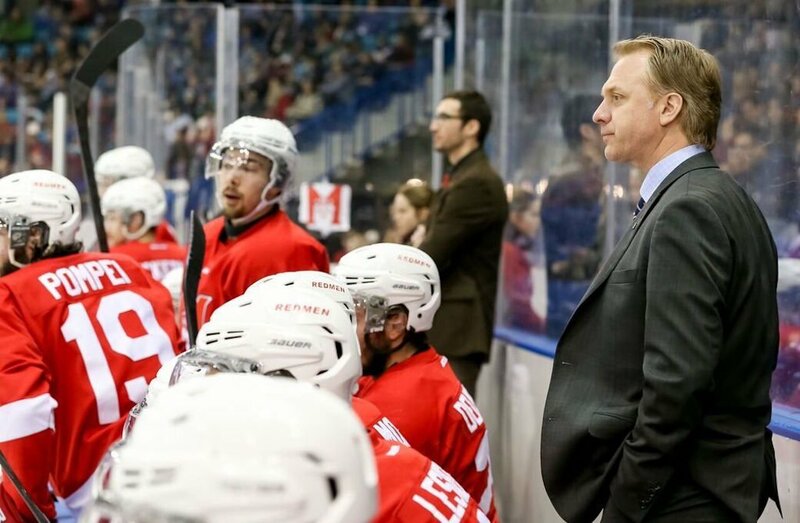 Finally, McGill bench boss Kelly Nobes is the winner of Father George Kehoe Memorial Award as Coach of the Year. Centre Anthony Beauregard of the Concordia Stingers is the 2017-18 recipient of the Senator Joseph A. Sullivan Trophy as the U SPORTS player of the year in men’s hockey. The second-year athlete from St. Damase, Que. was the leading scorer in U SPORTS and the OUA. In 28 games he scored 19 goals and added 41 assists for 60 points – a full 14 points more than the second-leading scorer in U SPORTS men’s hockey. 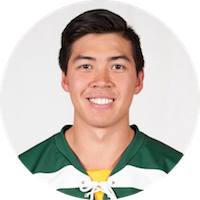 Beauregard was also dangerous on special teams, picking up four goals on the man-advantage and three short-handed goals. The 22-year-old joined the Stingers in January of 2017 after four seasons with the Quebec Major Junior Hockey Hockey League’s (QMJHL) Val-d’Or Foreurs. 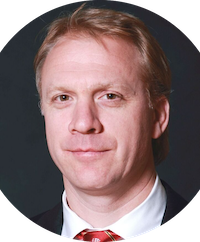 Beauregard becomes the first Concordia player to capture the Sullivan Trophy since 1976 when Jim Corsi – former Stingers and NHL netminder / goaltending coach - now an assistant coach with the team, was the inaugural recipient of the award. Anthony’s mindset is that he wants to be the best player on the ice every night. And he is the best player on the ice every time he’s out there. He plays in every situation and wants to be the best in every one of them. That’s what separates him, gives him the edge over other players. Anthony sees the game so well. His vision of the game is unbelievable. That’s his biggest asset. Alberta’s Jason Fram is the U SPORTS Defenceman of the Year. The second-year arts student finished third in conference scoring among defenceman with 23 points in 28 games (9 G, 14 A). His plus-25 rating was the best in Canada West and third in the nation, as he played a pivotal role in Alberta’s first-place finish during the regular season. Fram played more than 300 games in the WHL before joining the Bears, completing his entire junior career with the Spokane Chiefs, where he accumulated 187 regular season points. I really like how Jason's game has evolved over the course of this season. He has become a very well rounded defenceman who plays in every key situation for us. He has excellent poise with the puck and his decisions on transition are high level. It is great for Jason to be recognized for the excellent season he is having. 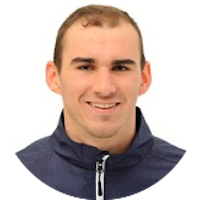 A second-year Arts student from Halifax, N.S., Chase Marchand played in 22 games for the X-Men this season posting a 16-5-0 record, and led the AUS with a save percentage of .924 and a win percentage of .762. His goals against average of 2.38 was the second best in AUS. His 16 wins topped the AUS and tied for second overall in U SPORTS, as he backstopped the X-Men to a second-place finish in the AUS standings, to go along with a U SPORTS top five ranking all season long. In addition, Marchand was named a First Team All-Canadian. Chase has had on outstanding season for our team. Coming off an AUS first team all-star selection and playoff MVP last year in only his first season, he has followed it up with an even better year. He is a very deserving of this award and has been among the tops in every major goaltending category in the AUS and U SPORTS consistently all season. Chase has an outstanding work ethic, is a tremendous person and teammate, and has established himself as one of the premier U SPORTS goaltenders. Kris Bennett is the winner the Clare Drak Award as U SPORTS men’s hockey Rookie of the Year. 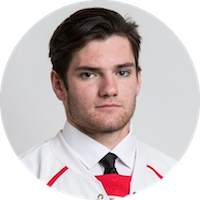 In just his first year with the Varsity Reds program, Bennett finished second in the conference and tied for fifth nationally in goal-scoring with 18 goals in the regular season. In 30 games, the Brampton, Ont., native finished eighth overall across the country in points, adding 20 assists this season. He finished with a plus-minus rating of plus-15. 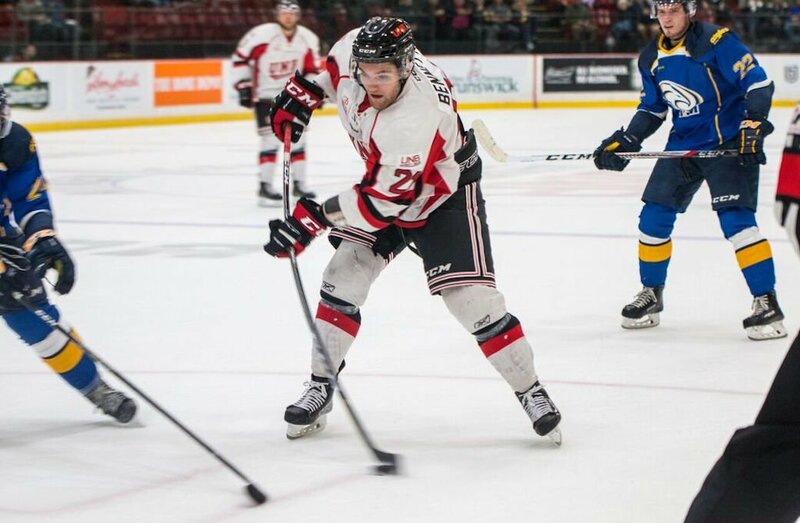 The 22-year-old joined UNB after five seasons with the Ontario Hockey League's (OHL) Saginaw Spirit, where he amassed 114 points in 195 games. Bennett becomes the second UNB winner of the Clare Drak Award joining Kevin Young who earned the honour in 2003-04, and Ryan Lindsay who won in 1997-98. 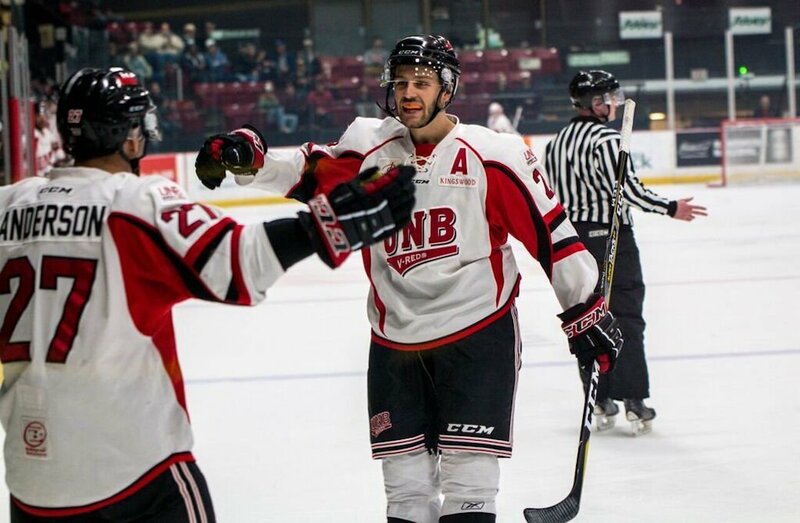 In his fourth season with the UNB Varsity Reds, defenceman Randy Gazzola is the recipient of the R.W. Pugh Fair Play Award as the most sportsmanlike player in the nation. A first-year MBA student from Thorold, Ont., Gazzola finished the regular season with 24 points. He scored six goals and 18 assists and finished with a plus-minus rating of plus-13. In 30 games, he amassed just eight penalty minutes. 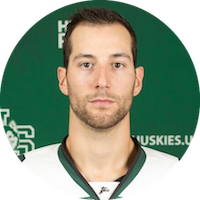 In his four AUS regular seasons, Gazzola has suited up for 110 games, tallying 85 points and taken just 52 career regular season penalty minutes. Gazzola was also named to the AUS second team all-star squad, for the second time in his career. He is the second Varsity Reds player to be named the most sportsmanlike player, after Chris Culligan took home the honour in 2014. Kelly Nobes, a 43-year-old native of West Hill, Ont., has merited the Father George Kehoe Memorial Award as U SPORTS Coach of the Year. He becomes the second McGill bench boss to win the honour, joining Martin Raymond, who won in 2005-06 and is now an assistant coach with the NHL’s Ottawa Senators. Currently in his 17th season as a head coach at the university level, Nobes has spent the past eight seasons in charge of the McGill Redmen, with prior stints at Laurier and RMC. His combined record is 378-270-14 in 662 games overall (.582), which includes a 169-53-0 mark in regular season play at McGill. 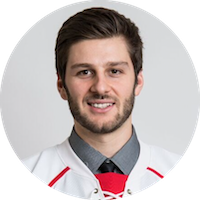 This season, Nobes guided the Redmen to an OUA-leading 22-4-2 record and a fifth trip to the University Cup in his eight years at McGill. 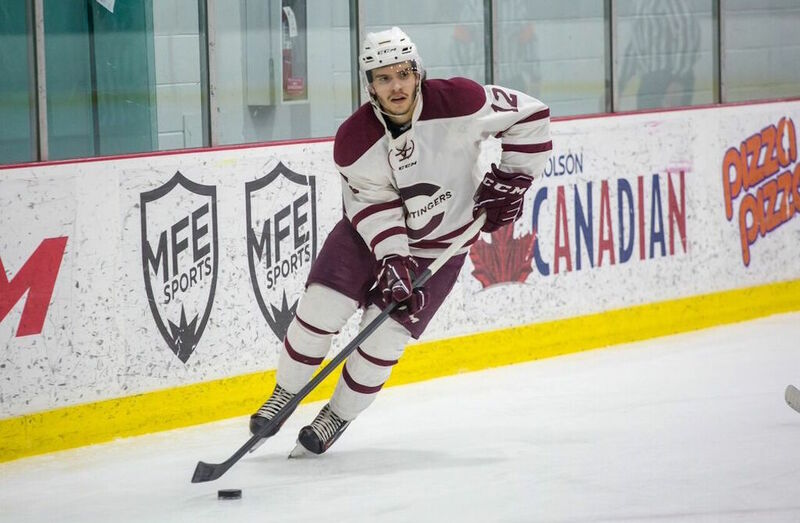 A former player with the Redmen, Nobes was able to get the most from his roster this season, which produced top-four finishes in offence (4.00 goals per game), defence (2.31 goals-against per game), shorthanded goals (8) and penalty-killing (88.4%). He enters the 2018 University Cup tournament with a 238-102-3 record in 343 games overall (.698) at McGill, including a 44-19 record in post-season action (.698). Coach Nobes has done a remarkable job building our men’s hockey program over the years. He is a passionate leader, striving for excellence. He’s been a measure of consistency keeping his team at or near the top of the standings, year after year. 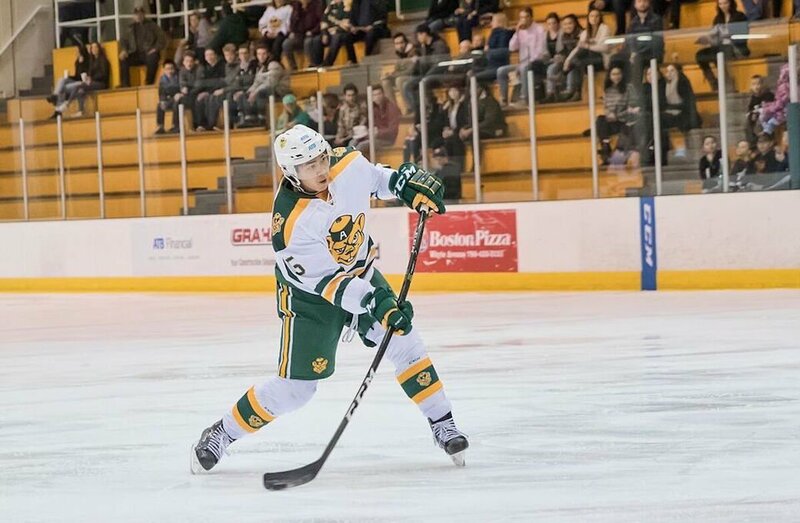 A Canada West all-rookie or all-star every one of his five seasons, Kendall McFaull has come to epitomize what it means to be a student-athlete. The engineering student established himself as one of the toughest defenceman to play against during his CW career, playing in 111 regular season games over the last five seasons. A four-year captain of the Huskies, McFaull has spent time off the ice volunteering for various organizations including:Huskie Athletes Academic Council, Huskie Homeroom, Saskatoon Minor Hockey, and Recess Guardians – a program which helps elementary students learn to interact and develop leadership skills through games and social interaction. 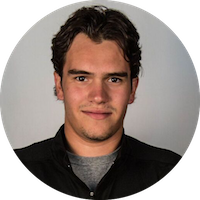 In the classroom, McFaull is set to graduate with an engineering degree, and entered his final semester with an average of 88 per cent average during the current academic year. Our captain Kendall McFaull has all the ingredients to be successful in life. 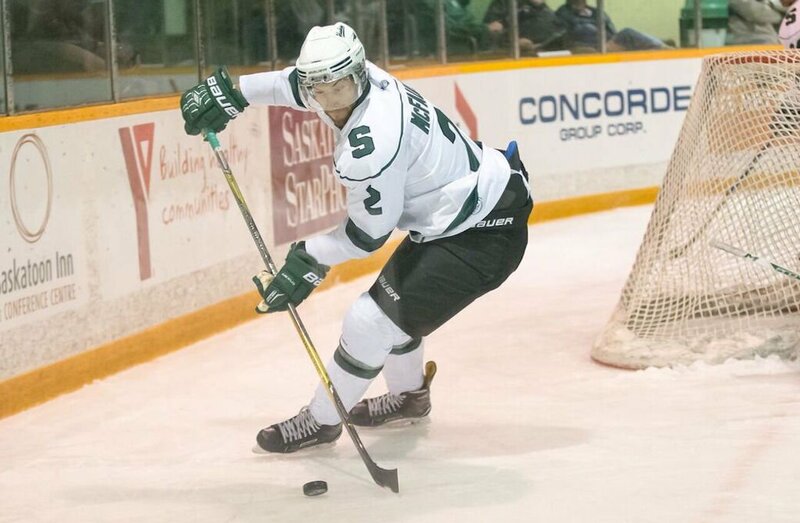 Kendall has routinely been considered one of the top defenceman in university hockey, has continually been strong academically and gives back to the community. He is an impeccably mature young man who will continue to reach great heights and follows in a long line of former Huskies who have won this award before him.